Fortnite fans will love this Fortnite Single Panel Duvet Cover! Add a little Fortnite cool to any bedroom with this duvet cover and pillowcase set. Capture your favourite emotes with this epic design, officially licensed by Fortnite. The Fortnite Duvet Cover is reversible, so you can easily switch up your style for twice the Fortnite fun. Machine washable and tumble dryer safe for ease of care. 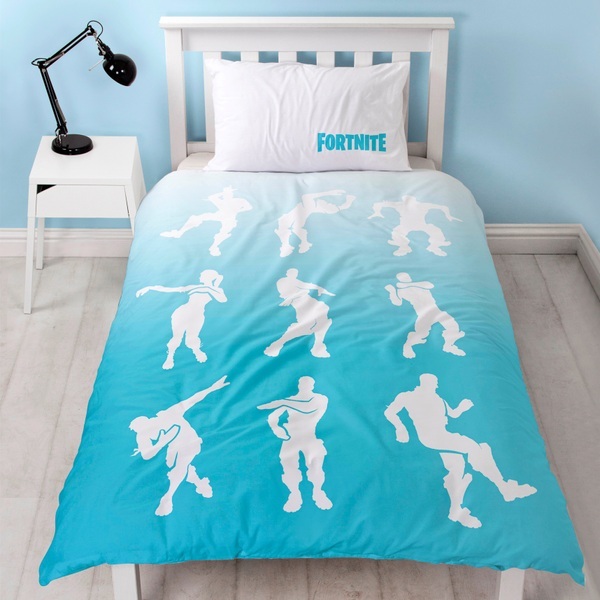 The Fortnite Single Panel Duvet Cover is designed to fit standard single duvets.